A man has been ordered to pay fines and costs totaling just over $16,000 after being convicted of killing a great white shark he corralled on Australia's South Coast -- a steep penalty, authorities say, to "send a strong message that harming of our threatened species will not be tolerated." The sentencing comes at a time when, elsewhere in the country, politicians have sanctioned great whites and other sharks to be killed at random. 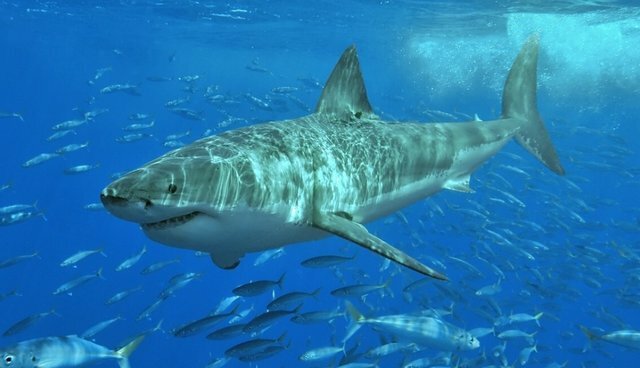 Last month, the West Australian government authorized a controversial plan to catch and kill shark policy in a misguided bid keep swimmers safe from attacks. Thousands of protesters from throughout Australia and abroad, including shark attack survivors, have called for the cull to be stopped -- under the same reasoning outlined by officials in this recent case. ''Everyone needs to know the rules, and ignorance is no excuse," said Department of Primary Industries fisheries compliance director Glenn Tritton. "Great white sharks are found along the NSW coastline and as apex predators at the top of the food chain, they play an important role in marine ecosystems.'' Interestingly, one of the fastest ways the convicted shark killer could earn money to pay his hefty fine would be by killing more sharks. Fishermen contracted to carry out Western Australia's shark cull will reportedly earn more than $5,000 a day.